The purpose of a sump pump is to keep your basement dry. Not every home necessarily needs a sump pump. For example, if your home is located at the top of a hill in a very dry climate, a sump pump may never need to be used, and the investment into a sump pump may be a waste of money. However, if you live in a wet or humid climate, if your area is subject to flooding periodically, or if you are otherwise concerned about flooding on your property, making this investment can provide you with peace of mind while also protecting your property. Before you can invest in a sump pump, you first need to research the options so that you purchase the right one for your needs. Primary sump pumps are designed to be the sole or main pump used in the basement, and they generally are intended to work at a high capacity to keep the basement dry. There are pedestal-style pumps that are placed above a sump pump basin, and there are also submersible pumps that are placed in the water in the basin. When selecting the right pump, consider how much water the system is capable of pumping out and at what rate it can pump water out. You may also read reviews to learn more about the dependability of the pump. The fact is that if the system is not dependable or if it cannot keep up with the demands in your basement, your basement ultimately may sustain water damage by flooding. Left unattended, this excess moisture can lead to nasty mold growth. 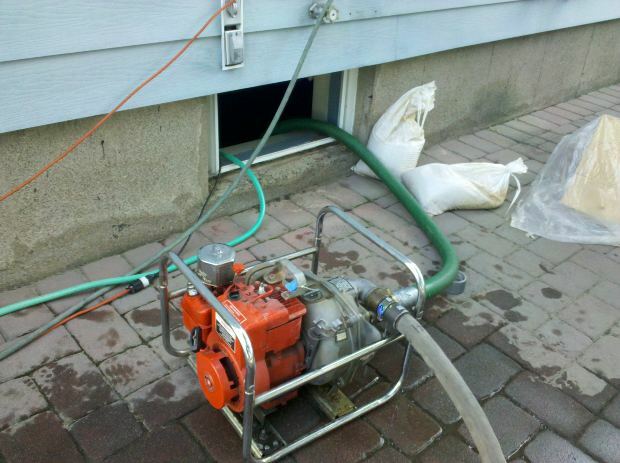 If your basement is prone to flooding, you may not want to trust the investment of your home to a single machine. A backup sump pump can be purchased to use in case the first pump fails. Many sump pumps rely on electrical energy to work, and these may function well when the power is on. However, a battery-powered back-up option may be needed for those times when your basement is flooding and the electrical power to your home is out. Some of the more highly innovative models of backup pumps have advanced technology that can notify your cell phone in the event the battery power to these systems runs low. This ensures that you always have a functional sump pump to rely on in your basement. While you can purchase a primary pump and a backup pump separately, there are combinations or package deals that you can consider. These may be more cost-effective and convenient to purchase. However, your needs for a primary system may be different than your needs for a backup pump. Ultimately, you want to invest in a sump pump based on the benefits it can provide to you and its ability to serve your needs effectively. If you cannot find the best option in a combination package, it is best to purchase your sump pumps individually. Whether you are replacing and outdated sump pump or investing in a pump for the first time, selecting the right pump for your needs is important. Take time to research the options carefully so that you make the right decision for you.